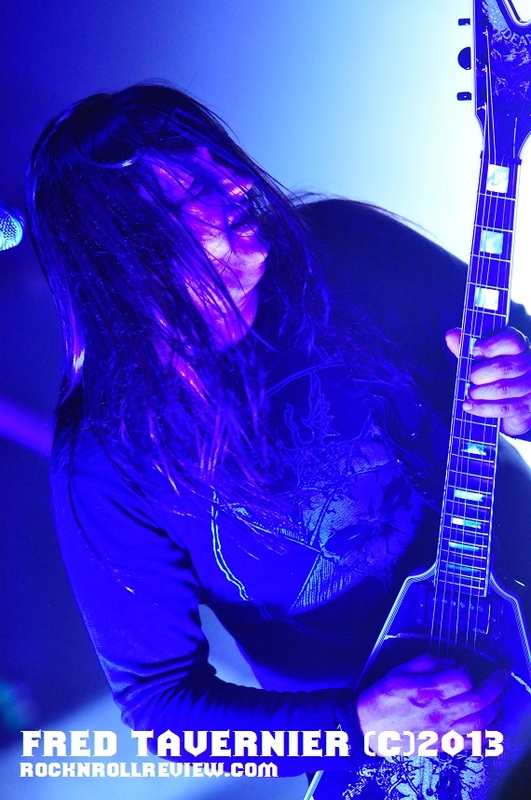 Last night, February 27th, Bay Area thrasher's Testament just destroyed the Knitting Factory in Reno Nevada. 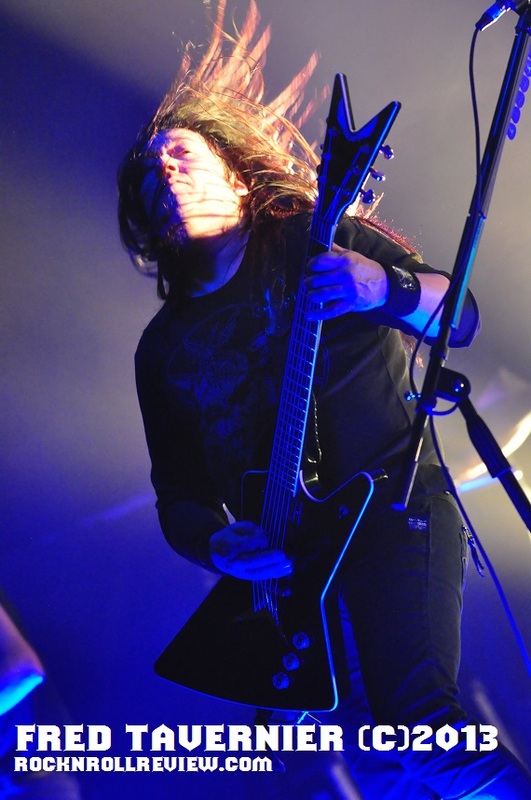 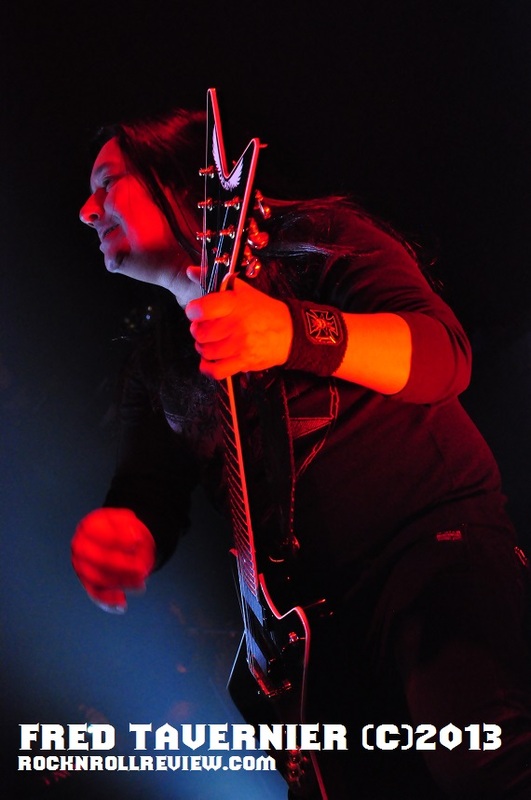 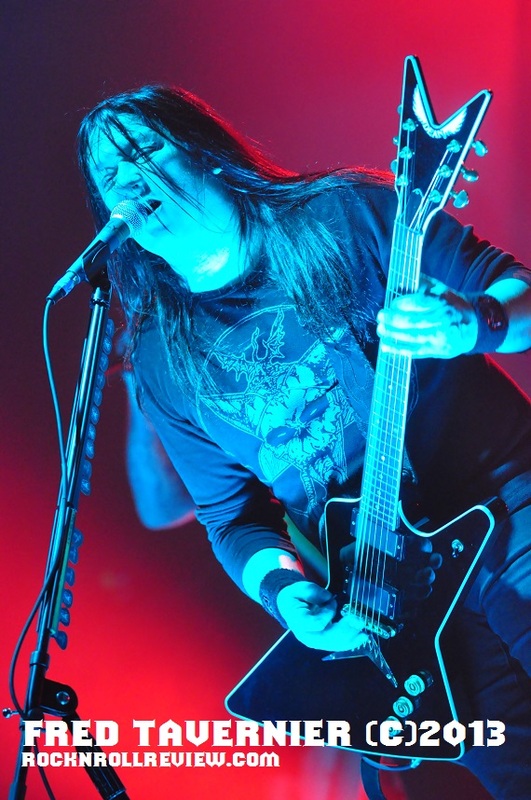 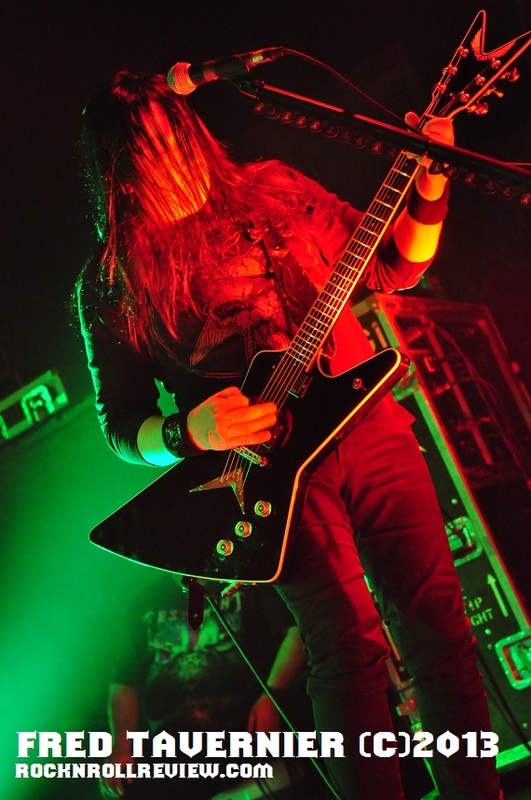 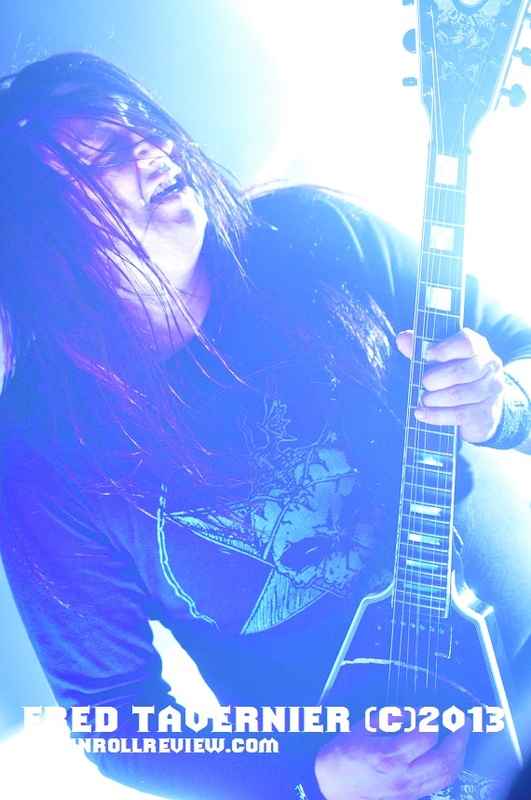 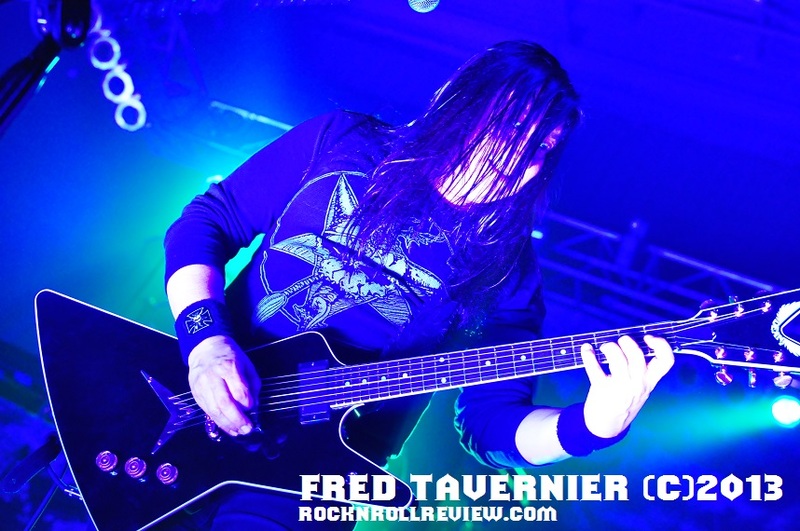 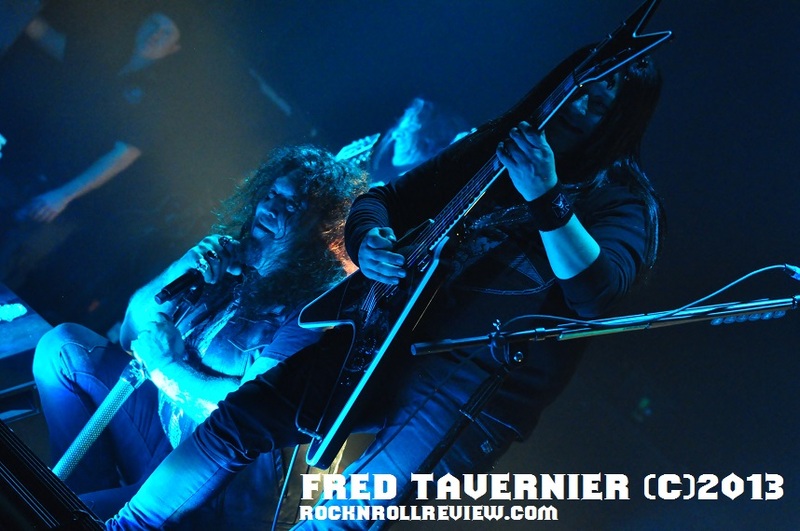 Finishing up their U.S. leg of the "Dark Roots of Thrash" tour (Feb. 28 Sacramento CA, last show) Testament played to a crazy crowd of around 500 devoted fans at the Knitting Factory. 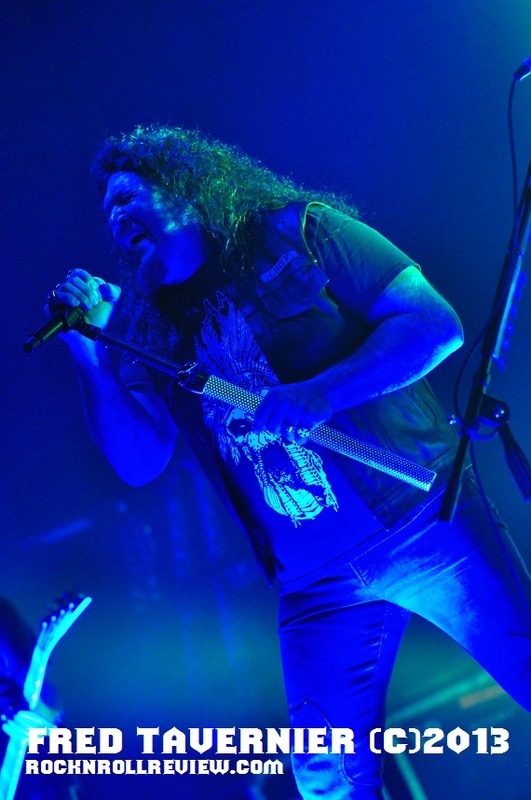 Opening the show with "Rise Up" off their Billboard 200 charting album (#12) "Dark Roots of Earth" Testament proved to the metal heads in attendance why they have been leading the "Thrash" scene since the 80's. 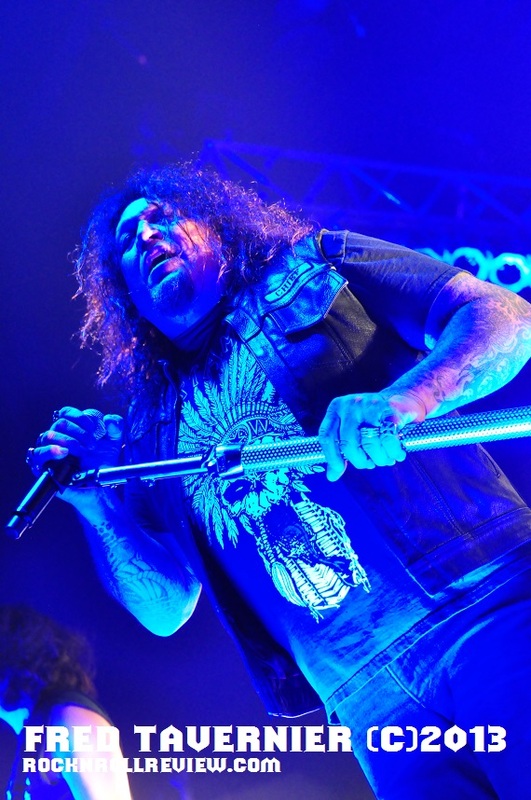 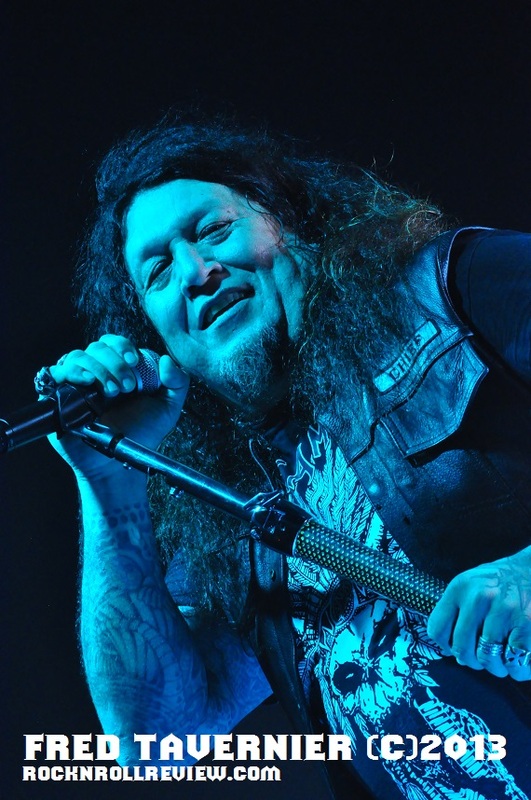 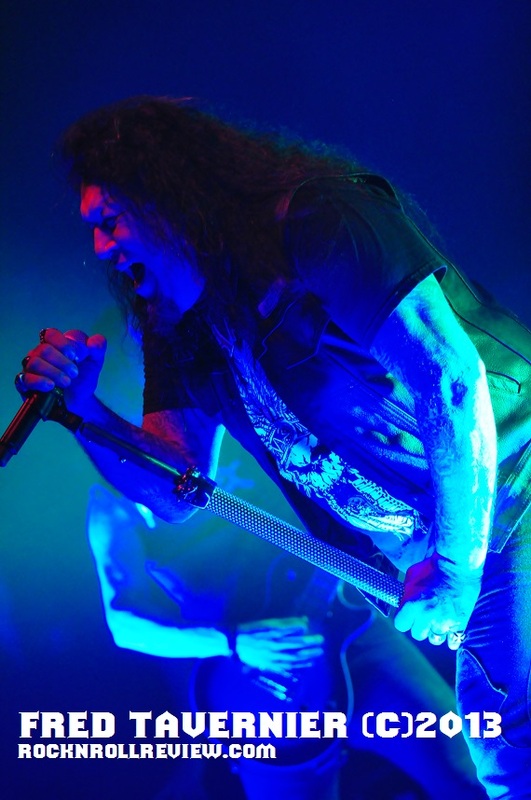 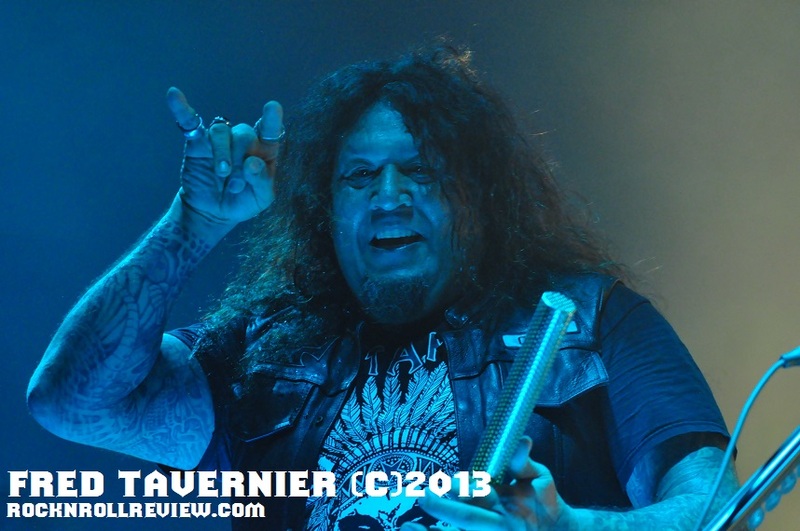 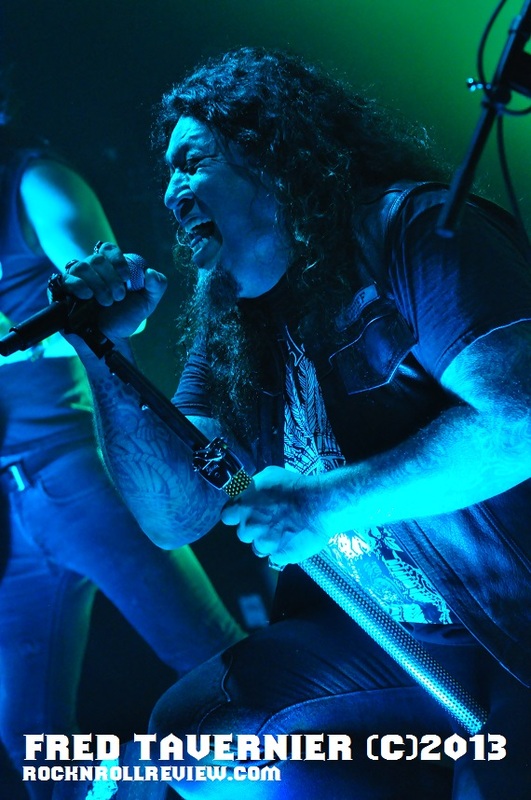 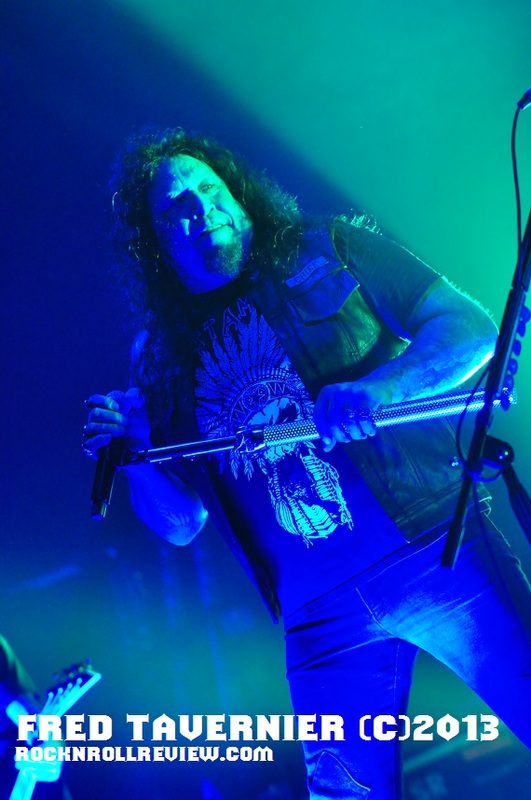 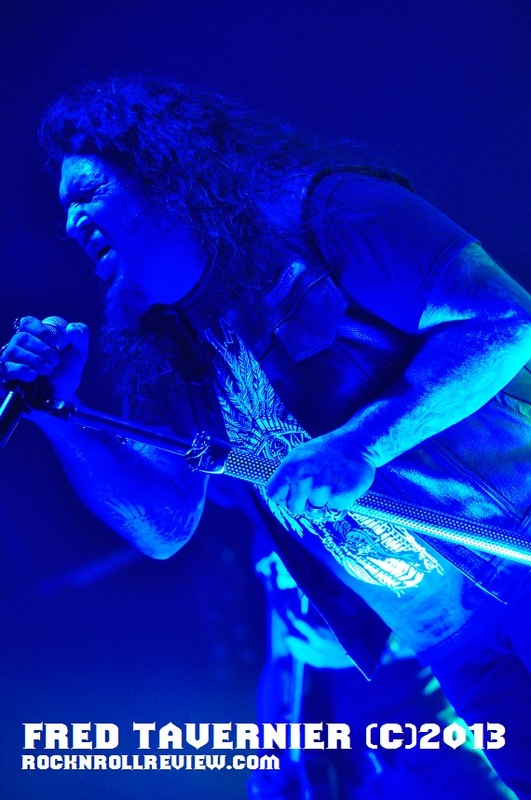 Singer Chuck Billy seemed like he was in full party mode for this show and rallied the crowd into a feverish frenzy several times through out the night, mosh pits everywhere. 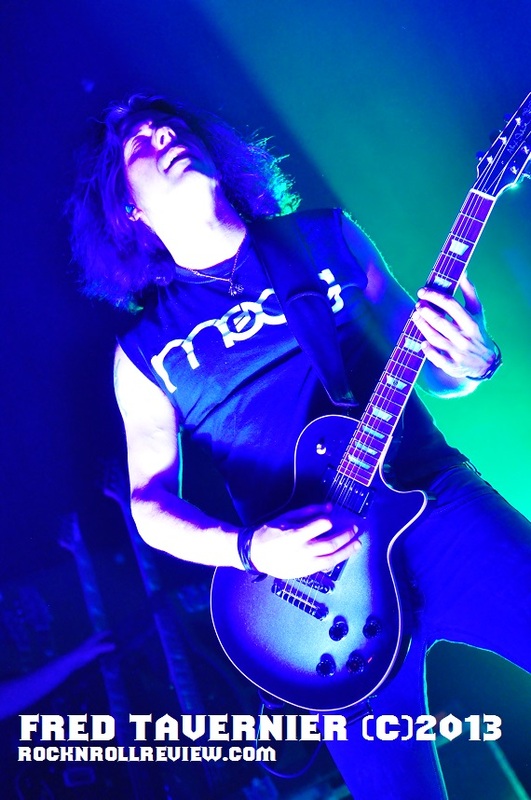 Billy's voice sounded great as they rolled through their second song " More than Meets the Eye ". 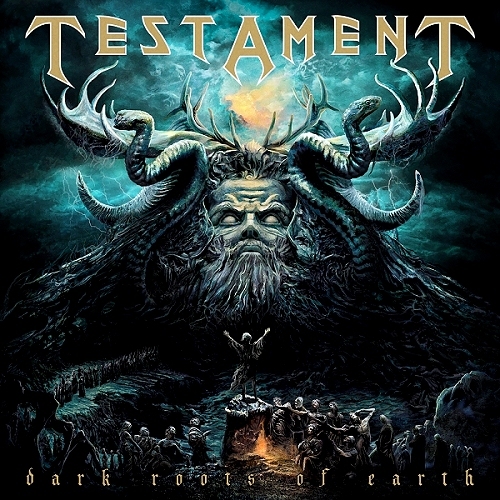 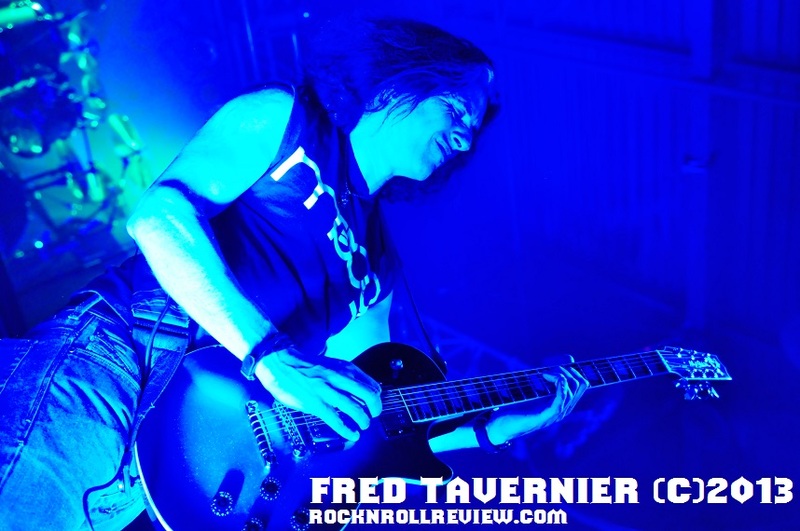 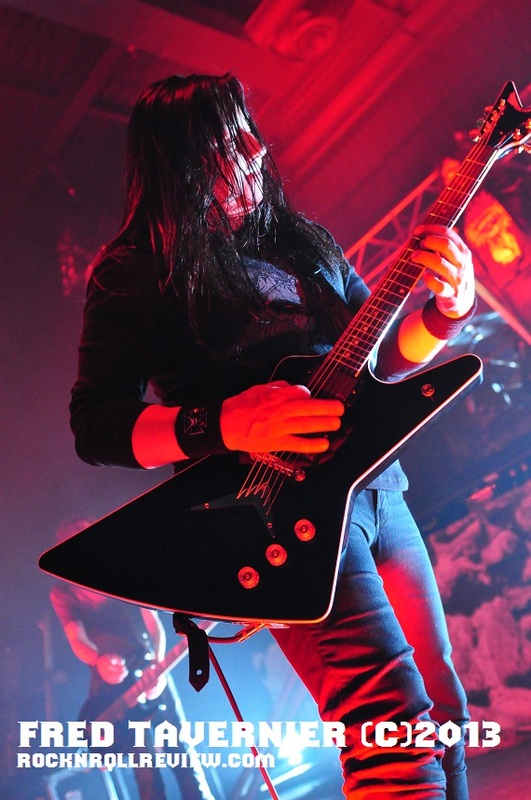 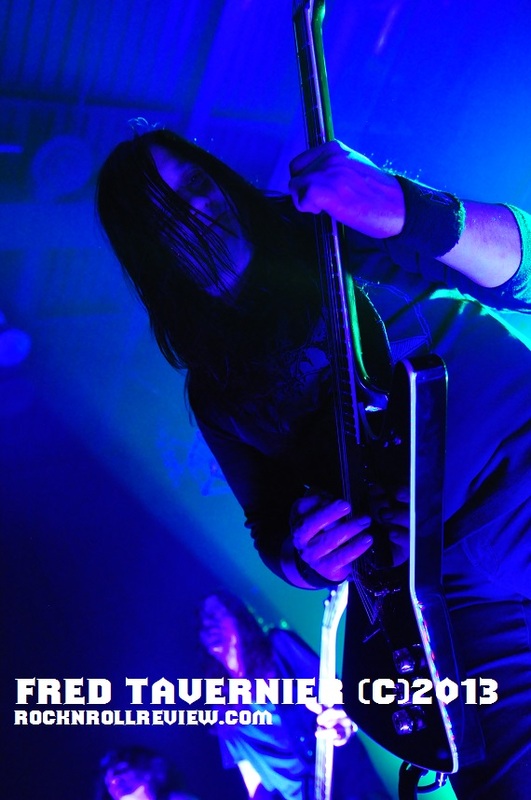 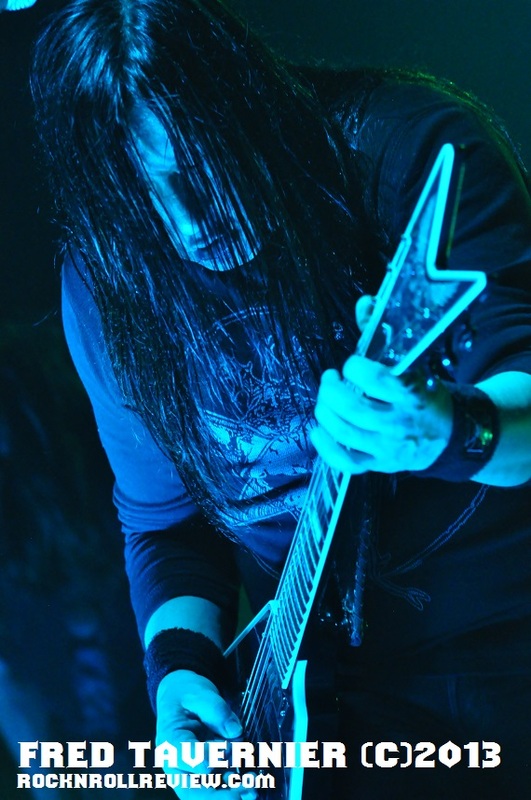 Testaments two guitarist, Alex Skolnick and Eric Peterson are a pairing made in heaven. 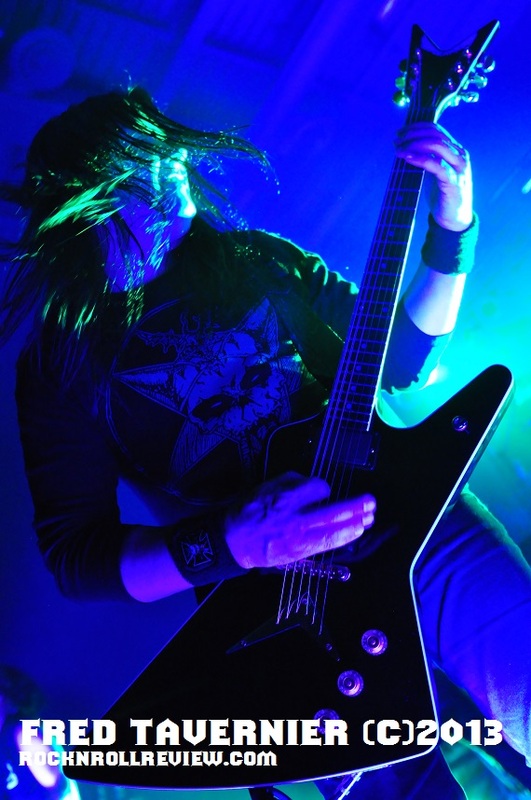 This duel guitar attack proved deadly again this night. 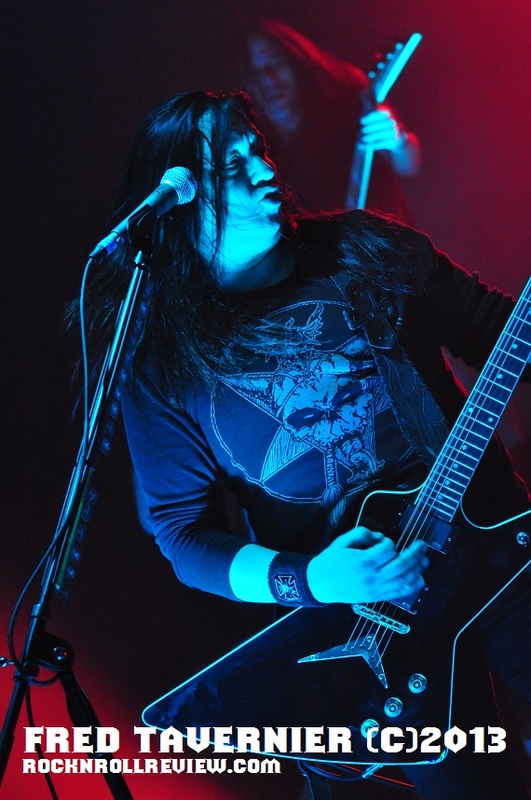 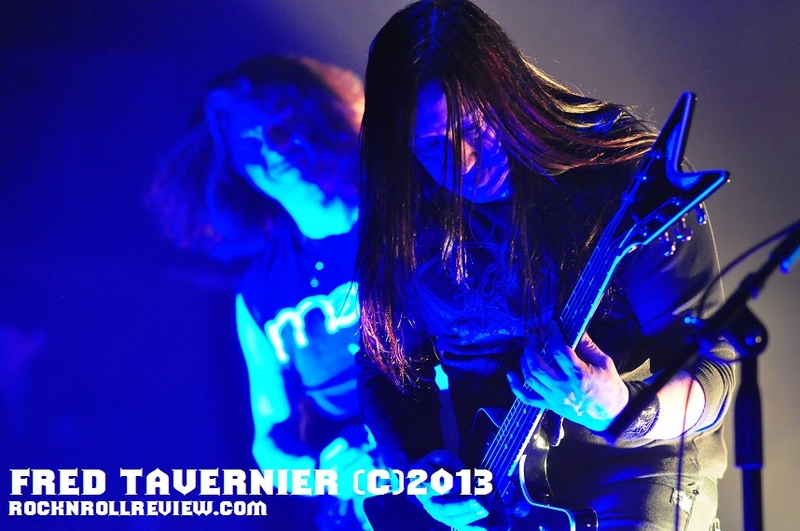 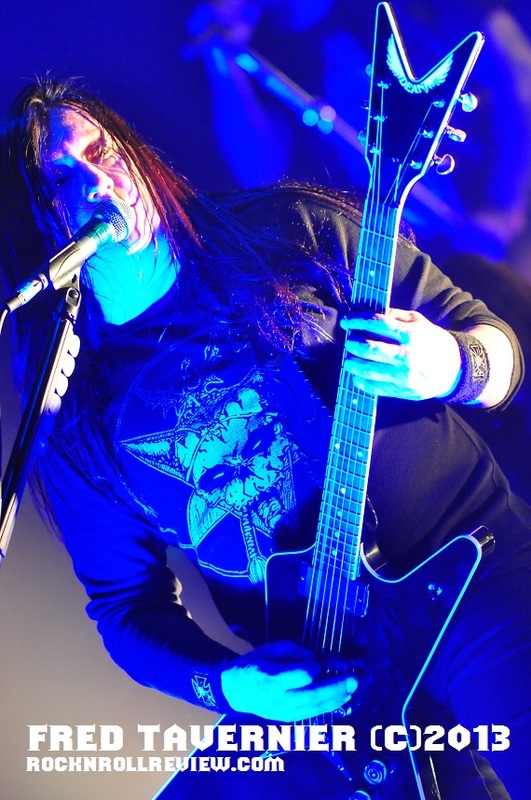 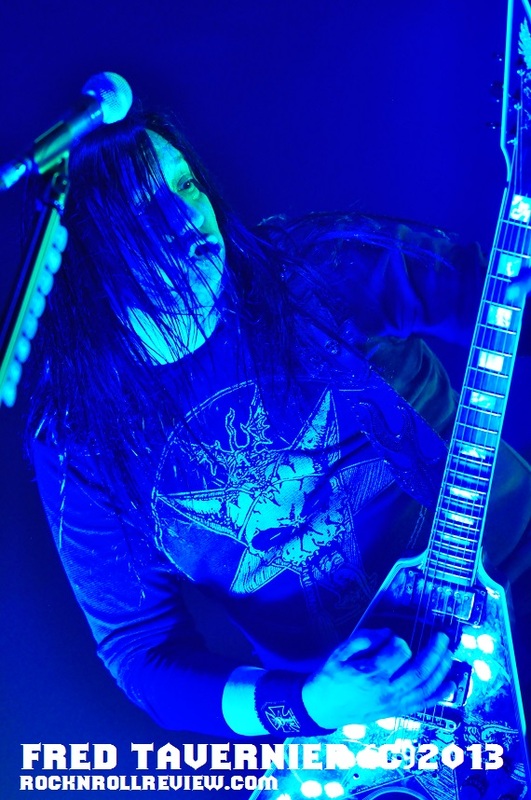 Having seen these guys several times it seemed to me that guitarist Eric Peterson was a real stand out this night. 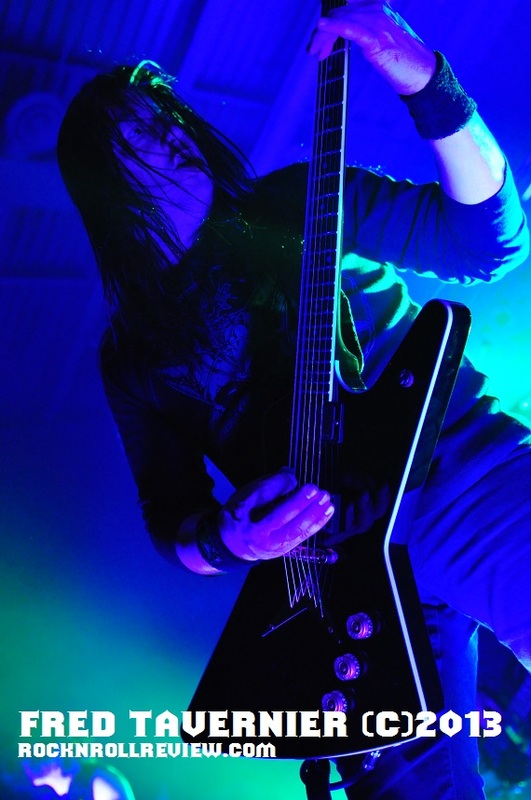 Eric was all over the fret board let alone the stage. 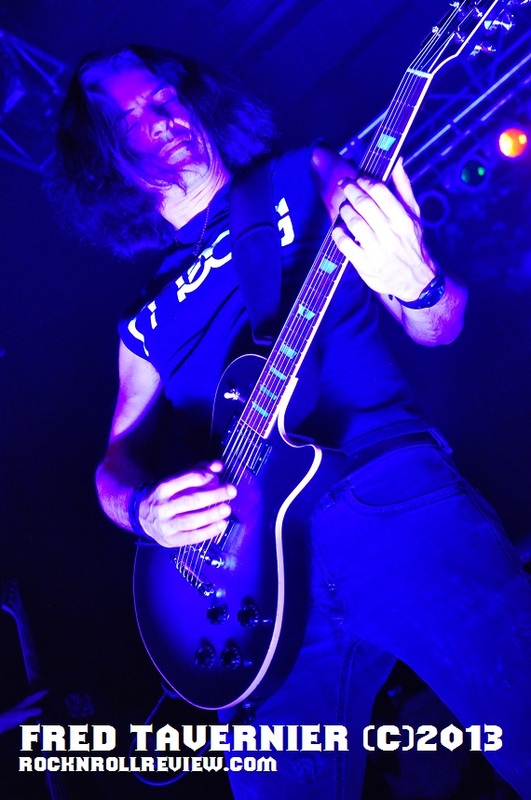 Alex Skolnick was not in any way holding back his six string furry either. 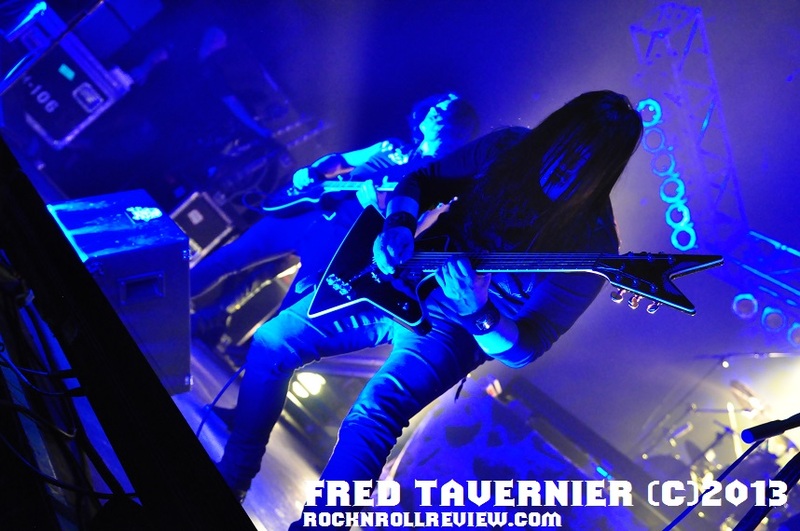 Both guitarist are truly great players and one could only stand back in amazement and take in this legendary duel guitar attack. 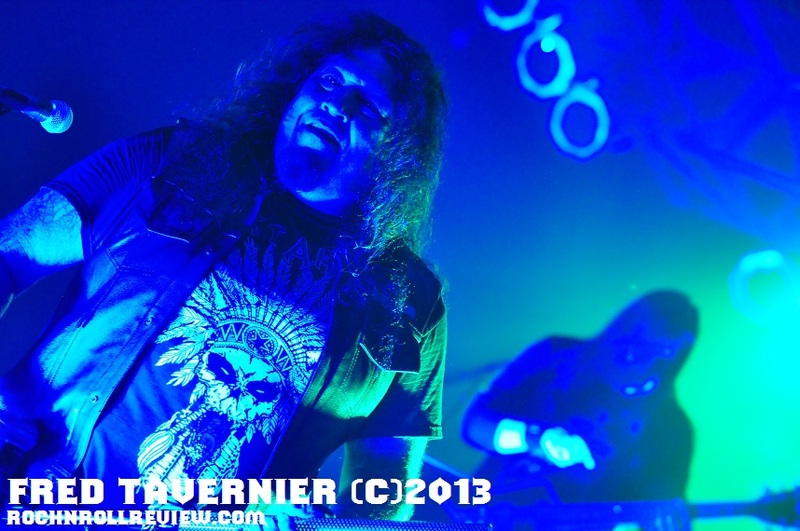 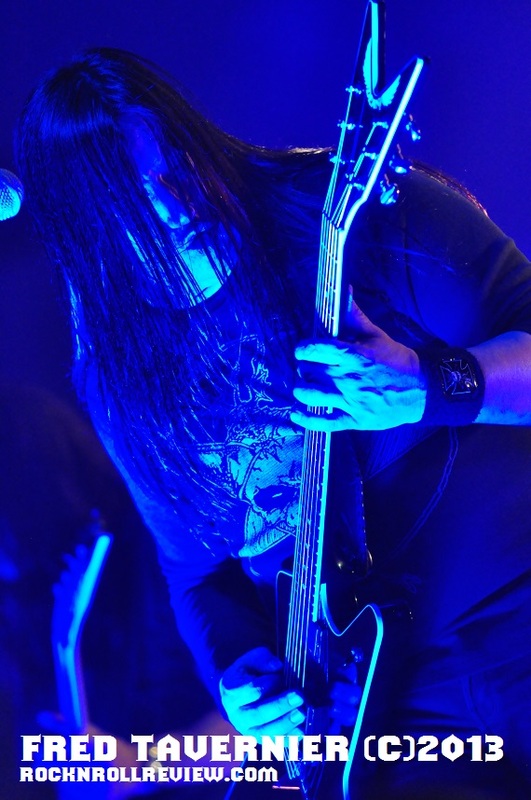 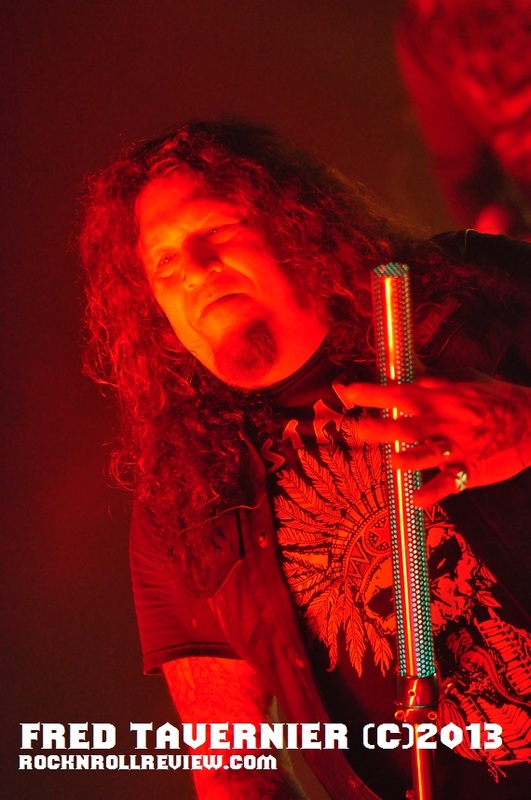 The spinal column of Testament lies in Bassist Glen Christian and Drummer Gene Hoglan. 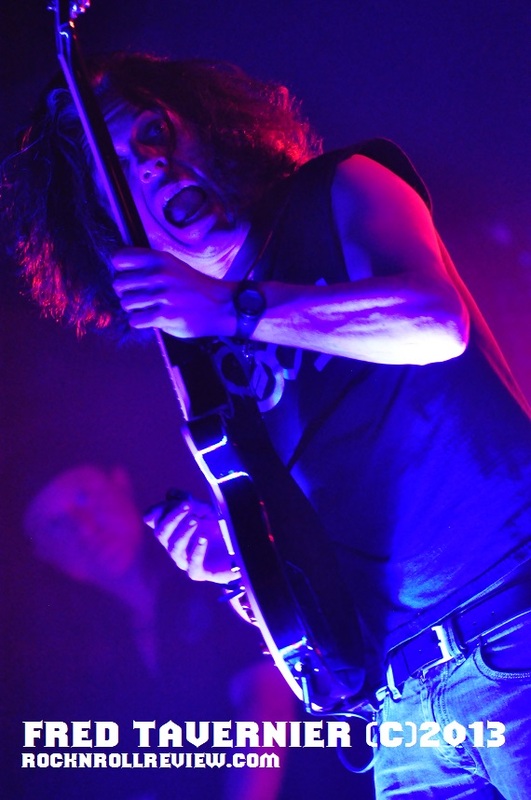 Glen was completely feeding off the crowds energy as Gene's drum work was and always is nothing short of incredible. 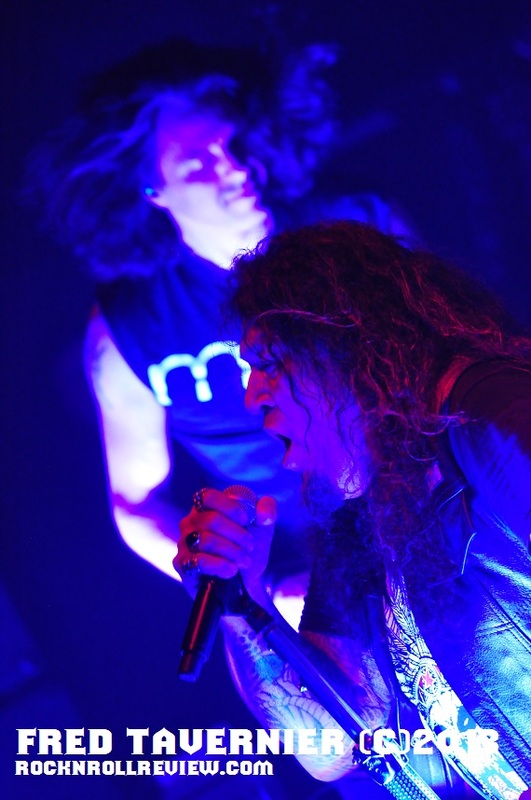 The band ripped out a total of 16 songs from throughout their career. 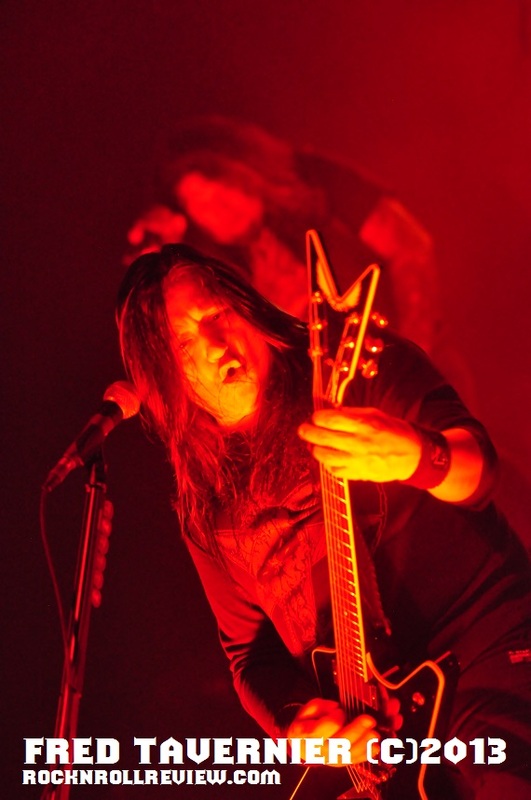 Pulling material from their first album "The Legacy" to closing with the title track of their 2008 release " The Formation of Damnation ". 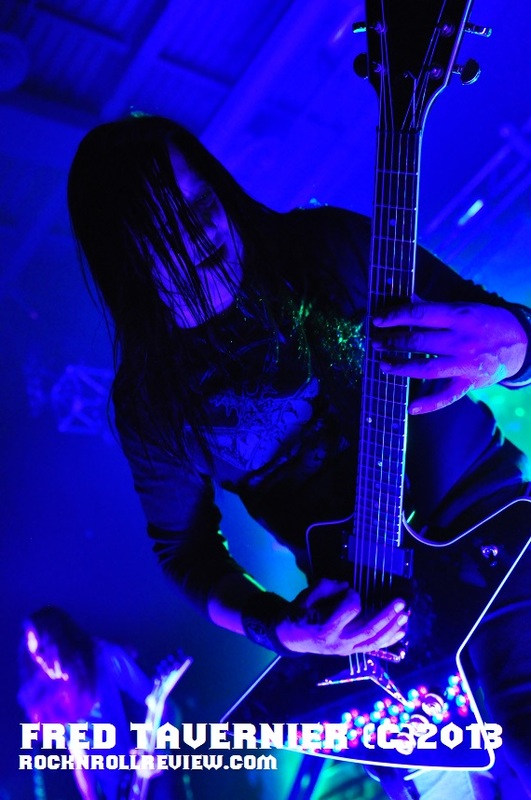 The satisfied Knitting Factory wanted more chanting "Test-a-ment" till the house lights came on. 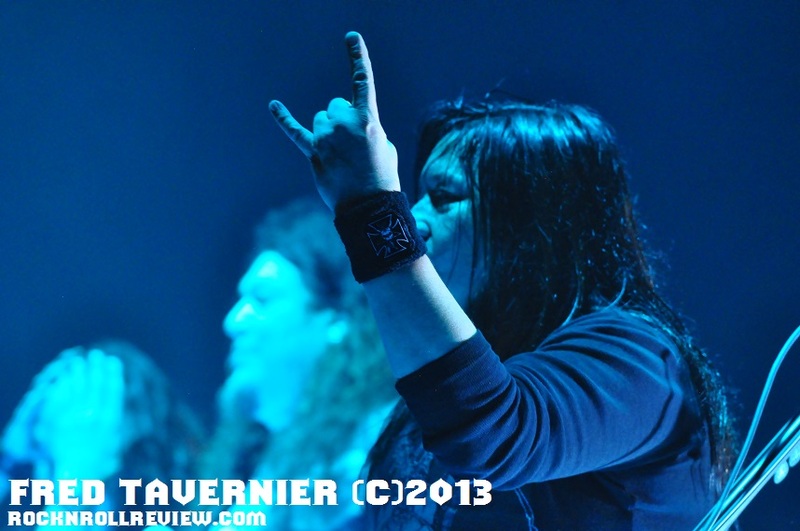 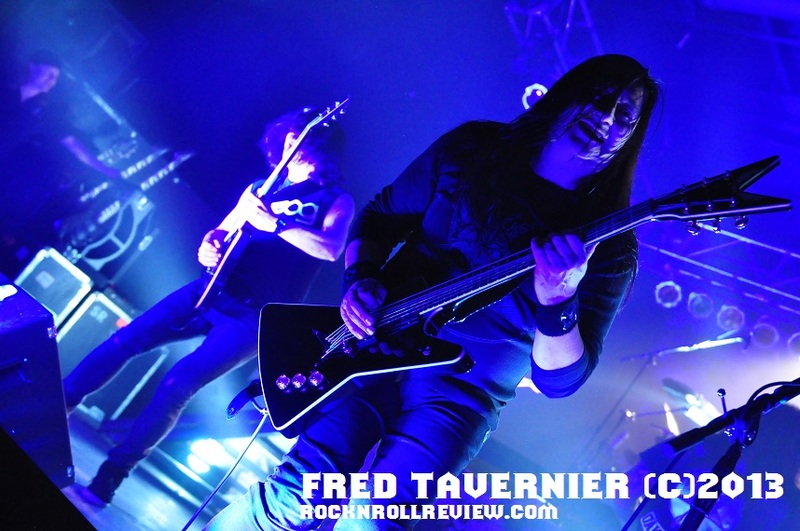 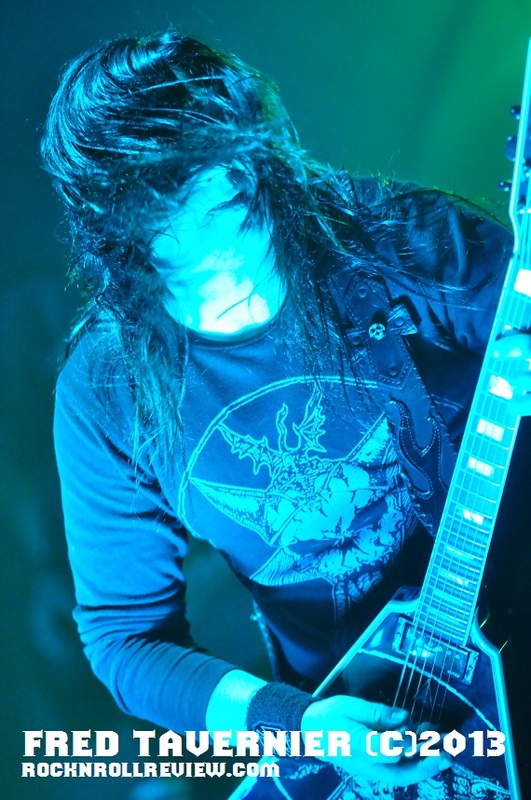 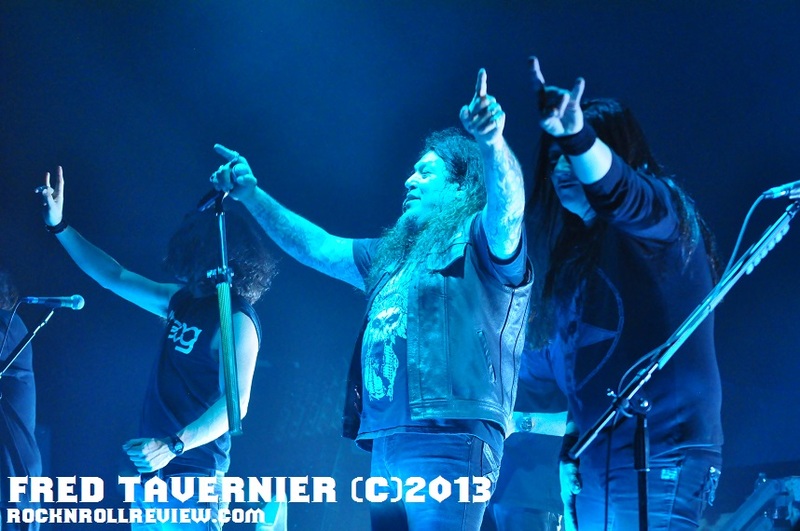 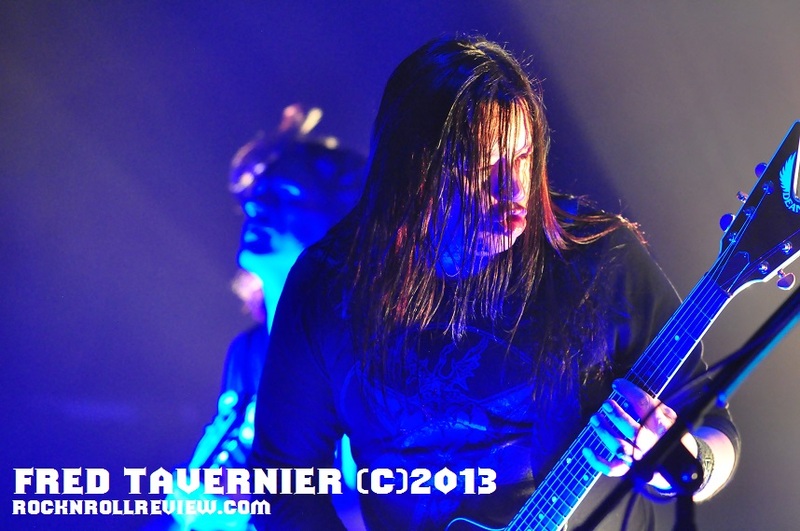 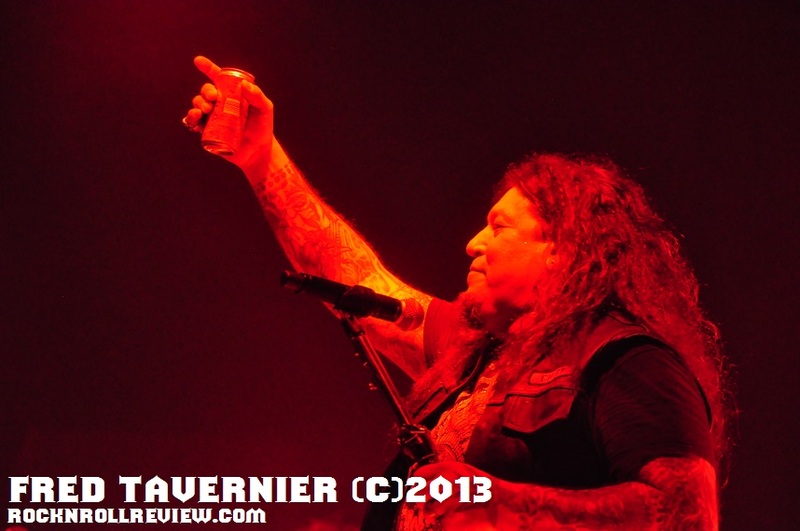 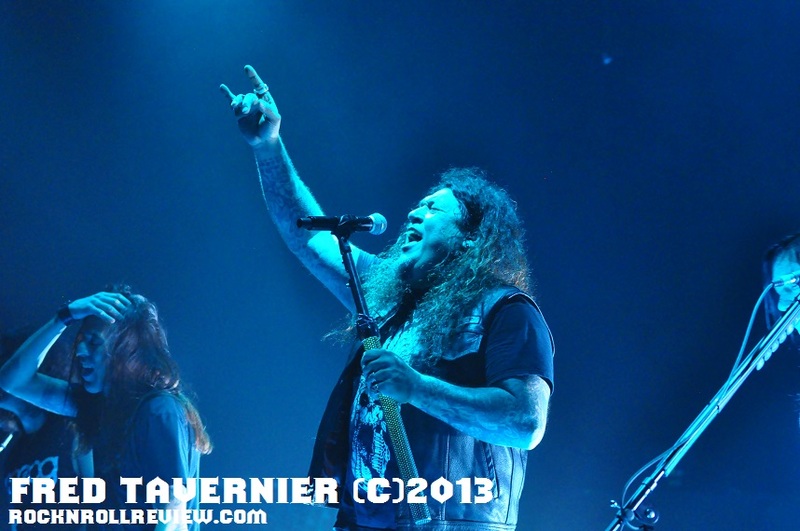 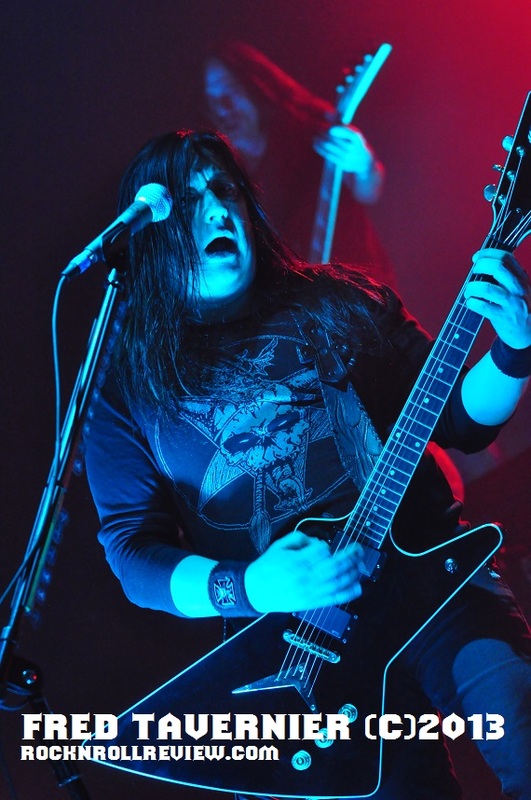 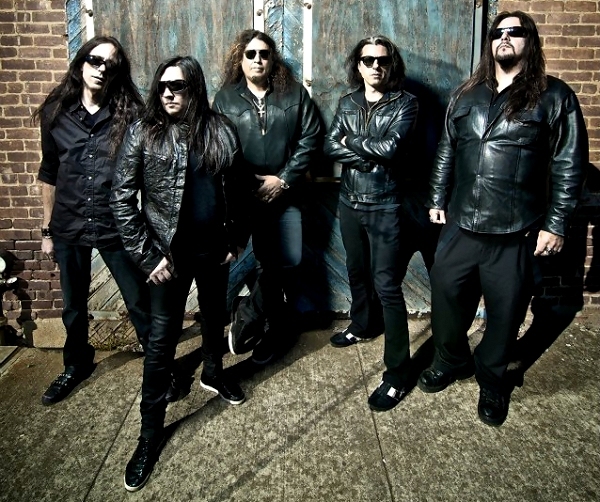 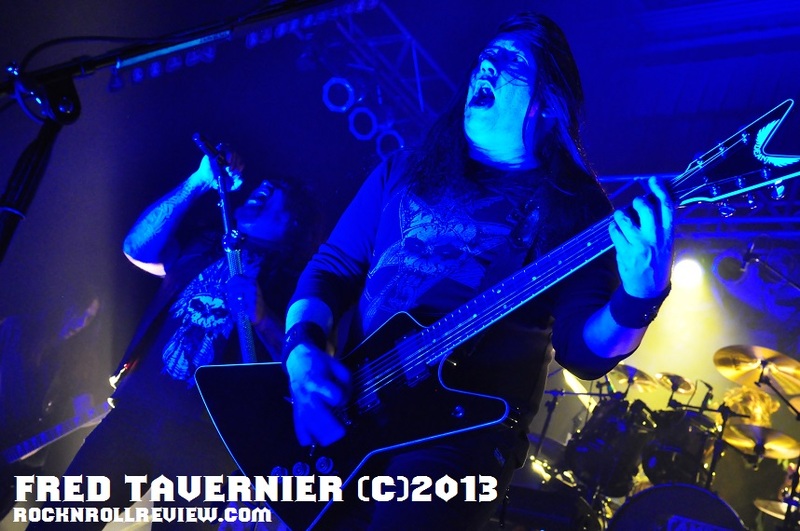 Testament is one of those veteran bands I have talked about before. 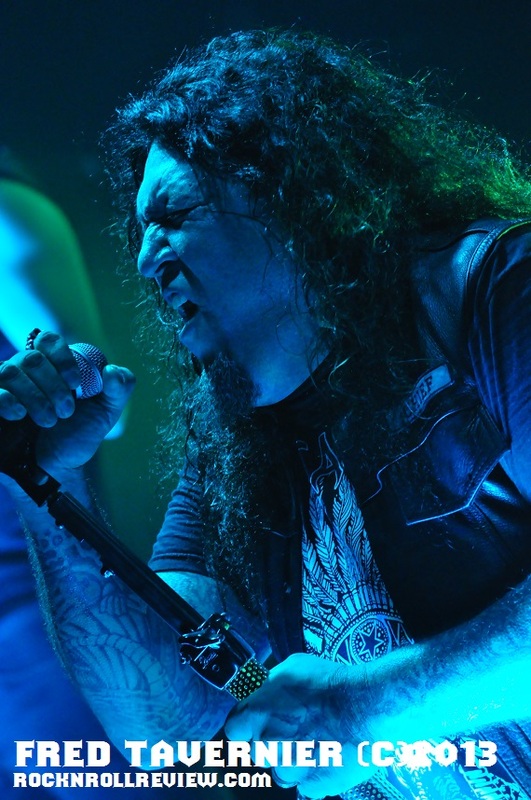 That is when all cylinders are firing there is nothing finer ! 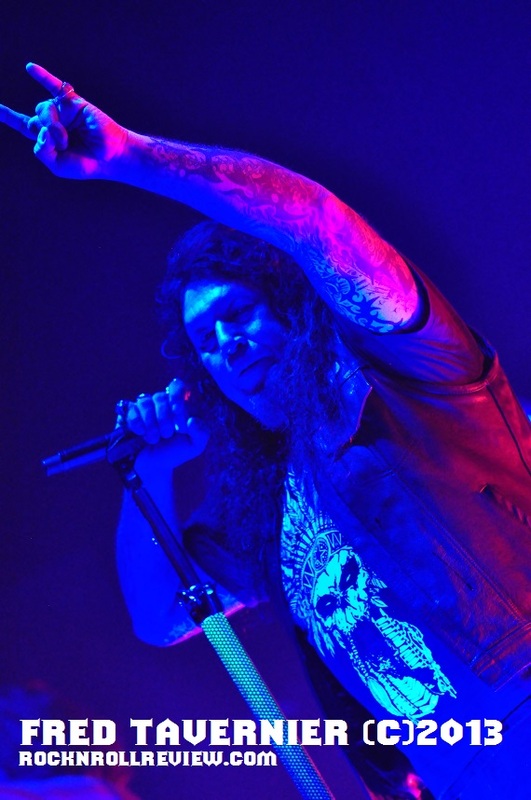 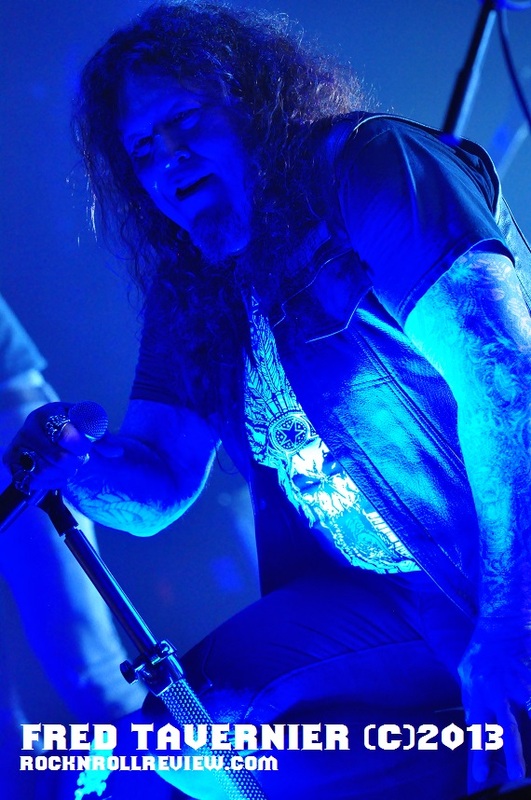 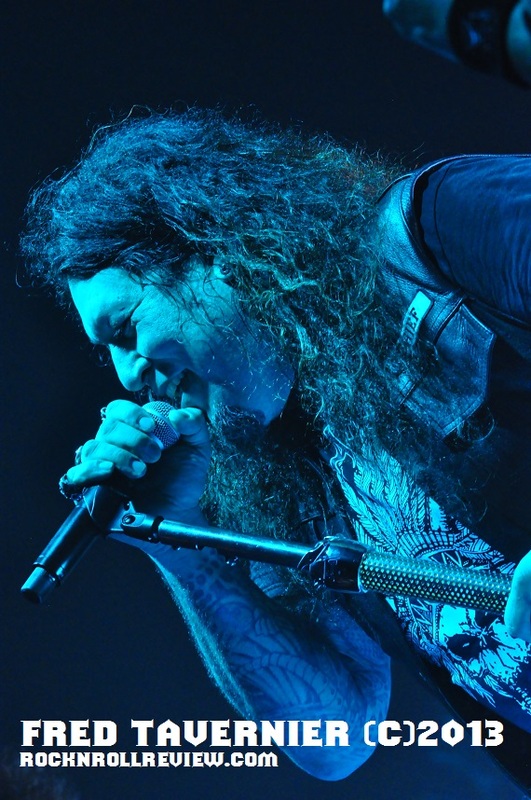 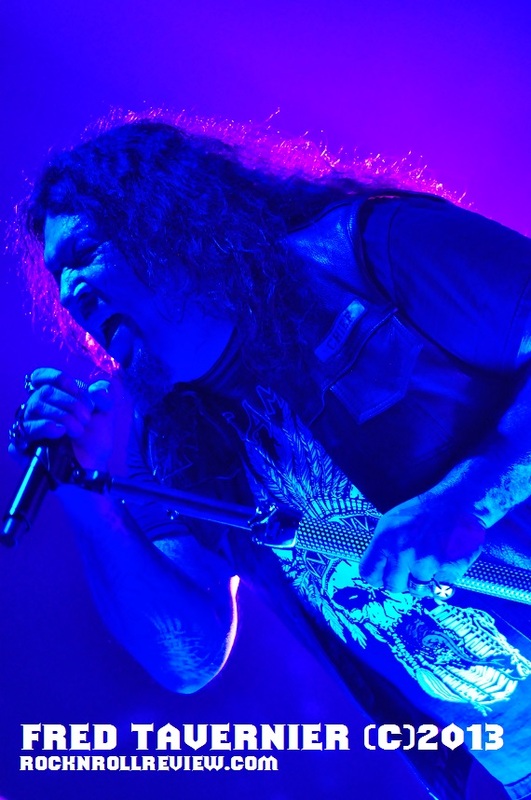 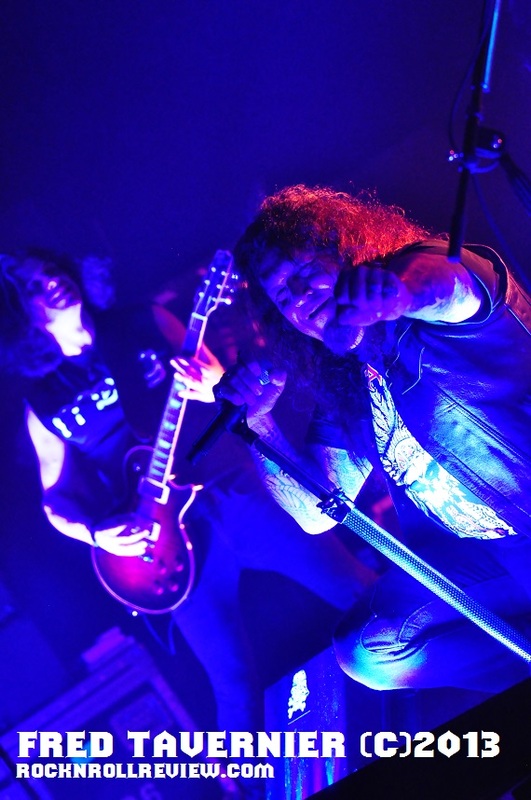 I truly believe that Testament should be included in the "Big Four" of "Thrash" bands replacing Anthrax.